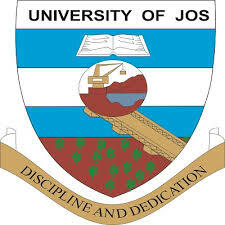 The general public is hereby notified that the University of Jos has released the 2018/19 Academic Session admission into her various undergraduate programmes. All candidates that applied to the University for admission and have gone through the University’s online Post UTME/DE Screening exercise are advised to login in with the email and password used during the screening exercise to check their admission status and proceed with registration. That they are to pay a non-refundable pre-registration fee of twenty-five thousand (N25,000.00) only. That the payment of the non-refundable pre-registration fee commences on Thursday, February 28, 2019 and ends on Sunday, March 31, 2019. That payment of the non-refundable pre-registration fee after Sunday, March 31, 2019 will attract an additional late payment charge of ten-thousand naira (N10,000.00) only. All successful candidates will be notified via SMS and or email on when they are to continue with the registration process. The University of Jos felicitates with all successful candidates and wishes them success in their academic pursuit. There has been no response to "Notification of Release of 2018/19 University of Jos Undergraduate Admission"